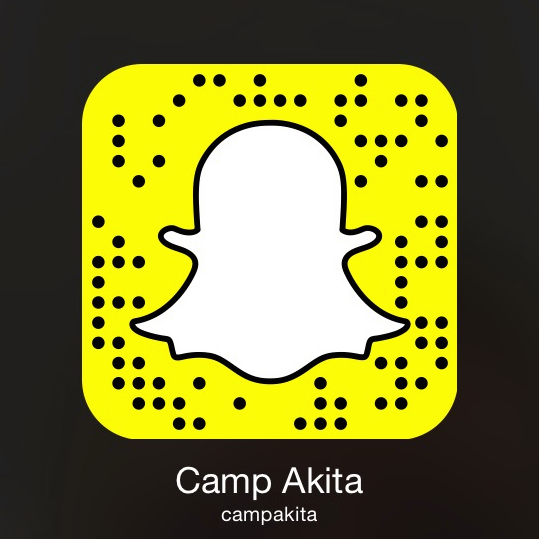 To access the registration form, go to campakita.org/register and click the red First Time Camper registration button. You're just 6 steps away from completing your registration. 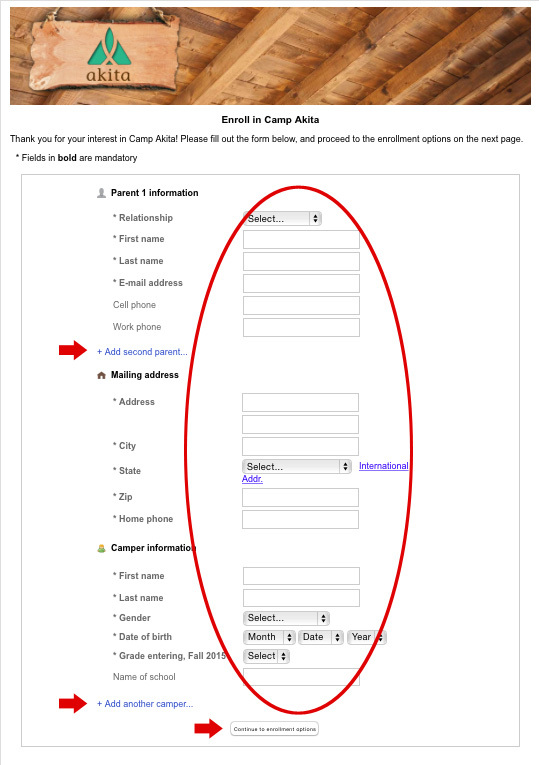 Enter some basic personal information for you and your camper. You can choose Add second parent, or you can skip that step and do it later. If you have more than one camper, click Add another camper at the bottom. When you're finished, click Continue to enrollment options. On this screen, you select which camper you want to enroll first. After you have finished the enrollment process for the first camper you can come back here to choose another camper if needed. All camp sessions that are available for your camper are displayed here. 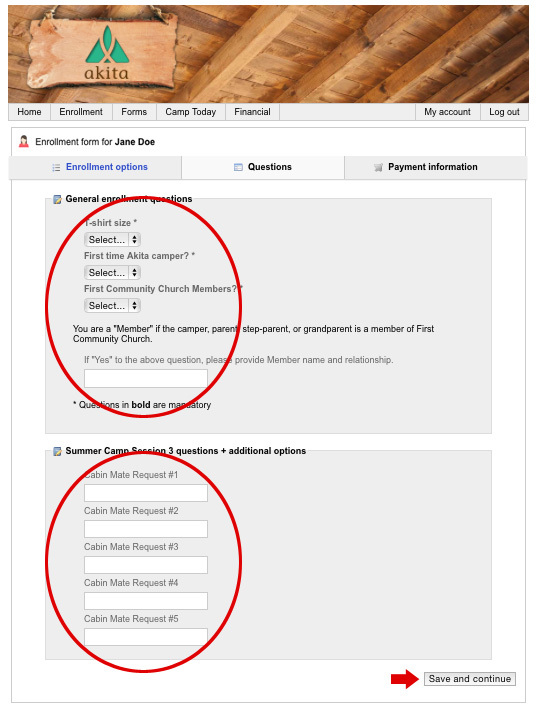 Select the session or sessions you would like to register for by clicking Add this enrollment option. Answer the informational questions at the top. 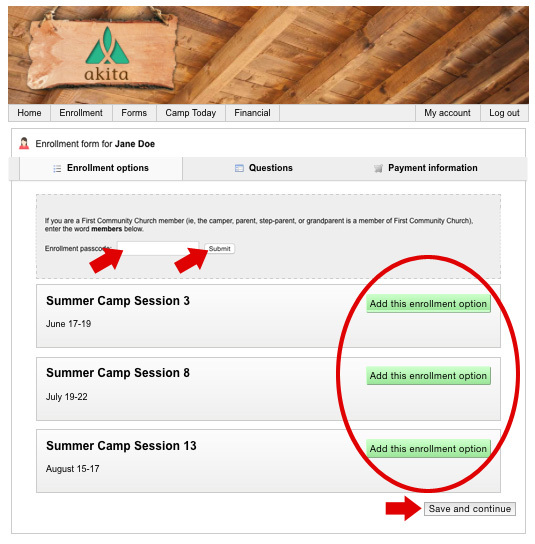 List your camper's cabin mate requests and complete any other fields that appear for the session you chose. Select the amount you would like to pay now, and choose your payment method. 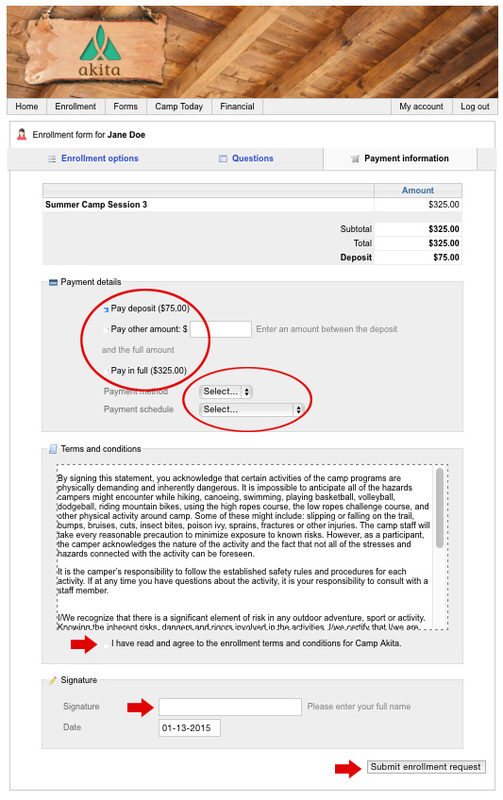 If you choose not to pay in full, you will be asked to select a payment schedule. Agree to the terms and conditions and enter your name as an electronic signature. You've just completed your first camper's registration. If you have only one camper, then you are finished with registration. We want the initial registration process to be as fast and easy as possible, so, for now, that's all you need to do to reserve your spot. Later on, we will remind you to update your account with medical history, dietary restrictions, allergies, and any other details we need.